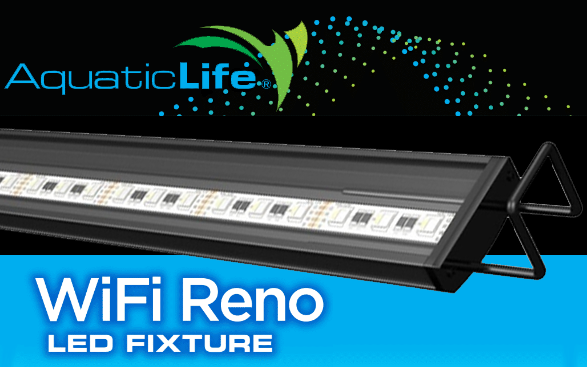 Reno WiFi LED Strip Lighting is Here! 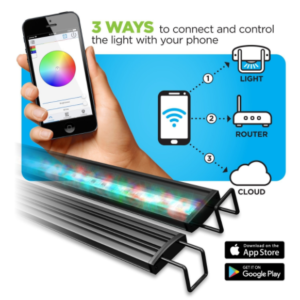 The crew over at Aquatic Life has released an awesome new Reno WiFi LED strip light that is both affordable AND WiFi controllable!! It’s as easy as going on the Google Play store or Apple Store and downloading their app and plugging the light in. 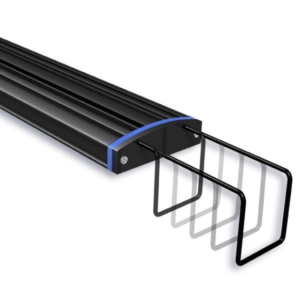 Setup is fast and easy and the lights are suitable for freshwater and saltwater aquariums. 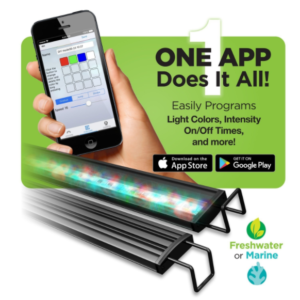 The app does everything you could want it to do… adjust color and brightness, create light changes and strobes, change the LED color with your camera, control your lights away from home, program the timer and more! You can also group multiple fixtures together and control them as a single fixture! 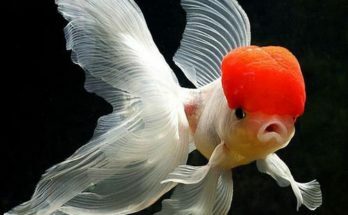 One cool feature and benefit is that you get a free cloud account with Aquatic Life with purchase of your Reno WiFi LED so you can control your lights from anywhere you have an internet connection. You can connect and control the Reno WiFi LED from your phone to the light, your router or your cloud account. This gives you the best flexibility and complete and total control of your lighting system. 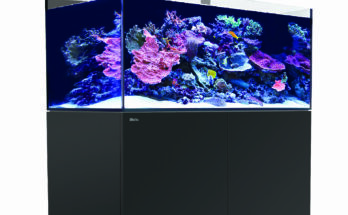 Stop in to Aquatica Aquarium Gallery today – the best Tropical and Reef Fish Store Cleveland has – and see what these lights are capable of and why this is a great addition for under $100.00*!! Have you tested your water lately? 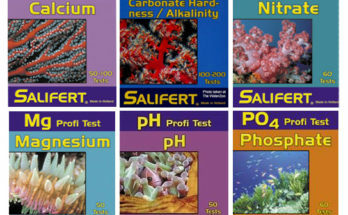 Previous Article Saltwater Fish and Corals! Next Article New Arrivals for Black Friday!